On Tuesday, July 15th, the NHLPA is hosting its 22nd annual NHLPA Charity Golf Classic in Pebble Beach, California. The tournament will bring together current and former NHLPA members for a day of fun on the greens on one of the most iconic golf courses in the world. Brent Burns, Kyle Quincey, Mike Weaver, and many other NHL players will be participating in the tournament this year, along with former players, Chris Campoli, Steve Montador, and more. As has been the case throughout its history, the event will once again focus on supporting a host of important charities that are meaningful to participating NHLPA members. In last year’s tournament, more than $100,000 was raised for various charities that resonate with players - from organizations that support military families to foundations that support the research of serious illnesses. Since its inception in 1993, the NHLPA Charity Golf Classic has helped raise over $3.2 million for a multitude of charitable causes. As part of this year’s Golf Classic, the NHLPA is donating $100,000 to the top performing teams with the prize money being directed to the charities chosen by the NHLPA members on those teams. Following the completion of the round, players and guests will make their way inside the resort for a dinner and reception to be emceed by former player, Steve Montador, where the day's winners will be announced. 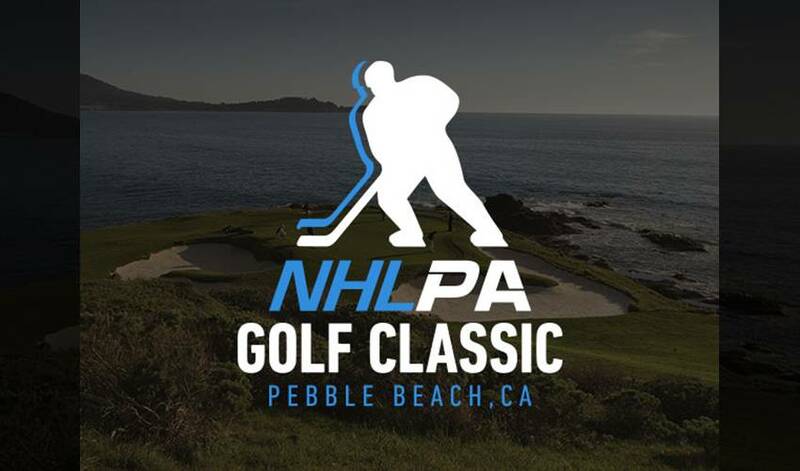 Be sure to follow the NHLPA on Twitter, Facebook, Vine, and Instagram for full day coverage live from the 2014 NHLPA Golf Classic at Pebble Beach. We will be stationed at the 7th hole – one of the most memorable in all of golf – to bring you photos and videos of players as they play through the round. Join the conversation by following and tweeting us using the #NHLPAPebble hashtag. Photos from the 2013 NHLPA Golf Classic at our Facebook page here.